This AMI has WebSphere MQ v 8.0 and RapidDeploy version 5.0.9 installed on Red Hat Enterprise Linux 7.5 base. 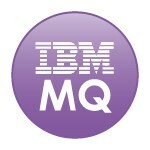 Install Your IBM WebSphere MQ with just a few clicks, licensed and ready to go! By using this bundle you are renting your IBM WebSphere MQ license on an hourly basis. You get your support from MidVision, a Premier IBM Business partner and supplier of this bundle with Amazon EC2 and IBM. A quick start console menu lets you create and manage WMQ objects quickly and easily, even with no prior experience.